You know you're well and truly into the school term when the nit letters start coming home from school. Now that the girls are in separate classes, I am getting one pretty much every week. So yet another string to my bow - nit nurse in training - as we comb and comb the girls' hair every few days and spray them every morning pre-school with a nit-repellant spray. Fingers crossed they stay away and I'm very relieved by my friend Elizabeth's assurance that they don't like coloured hair - at last a reason to be thankful for my greys! This past week was much cooler also so my Almost Famous coral coat come out a couple of times. In these photos, I wore it with double denim. Wearable for the school run I think as long as you keep the denim colour a bit different. I like a dark jean with a lighter shirt. Time to welcome the latest addition to my wardrobe - long lusted after Navy Suede Ash Jalouse's (or should that be Jalousi??!). I have sold on eBay, on the blog and via consignment in Deja Vu and last week finally had enough to order them. IN LOVE. They are the perfect height for me and have just the right amount of 'point'. Of course, I'm now frantically selling again to cover the cost of a black pair! Hope your Monday went well. First thing tomorrow, I'll be reporting back on some exciting news from Next for Northern Ireland customers. Keep an eye on Twitter and Instagram to find out first! I really love that coat on you, fabulous colour. I'm so jealous of the Ash boots, they are on my wish list for Autumn in the taupe or grey colour, but the navy is so versatile. Looking forward to hearing about this Next news! Do not seduce me with those boots! They are amazing Avril. It was so lovely to meet your new Ash boots in person this morning Avril... I like them better than my taupe ones - and you know what that means, right?! I love the color of this coat, it's so pretty on you! You have so many nice coats Avril. This one is such a beautiful colour. My coats are all still hidden in the wardrobe. It's wet so warm enough still for jackets although I wore my biker jacket to town today and was absolutely roasting! They are so gorgeous in the navy, but as I have them in grey I can't justify another pair! 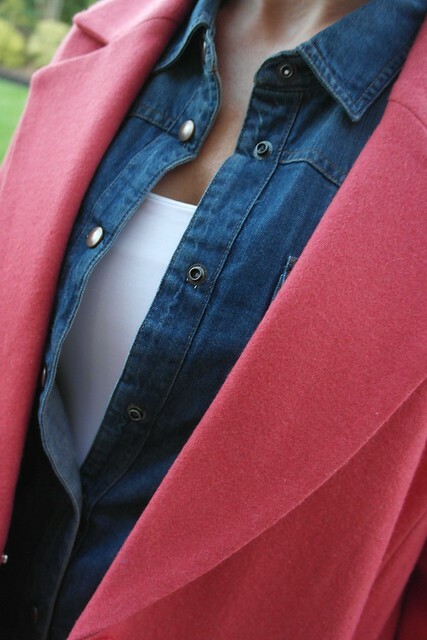 And what a perfect colour the coat is for you - fab outfit! Super jealous about the jalouse - they just don't work for me, very tempted to try again but I already have some navy boots that I haven't worn much. 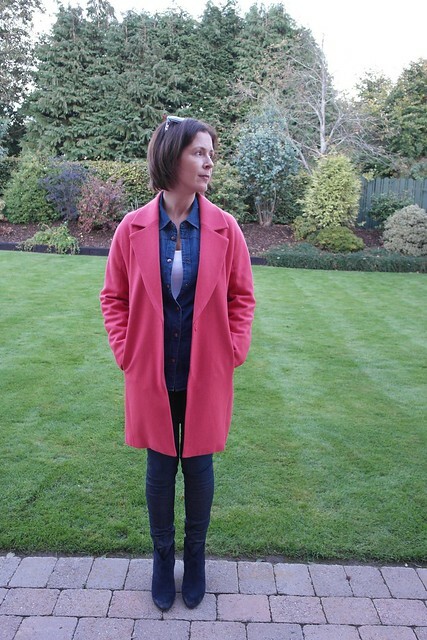 Love that Coat just what we need to inject a big of colour on these dull days! 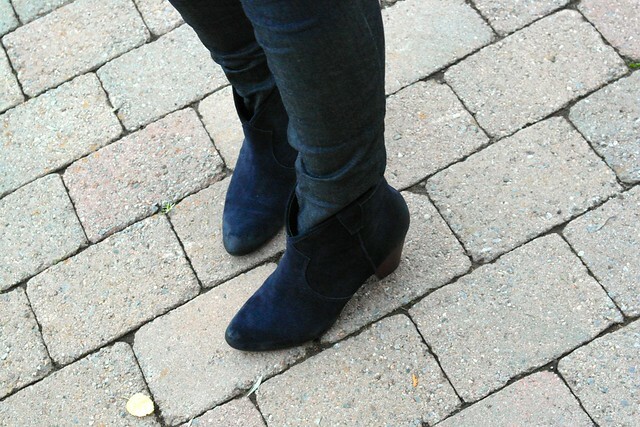 I'm obsessed with find a good pair of leather navy boots this season, so hard to find a pair! That's great Avril, thanks. It must be fate, I rarely get to tk maxx (too dangerous and too time consuming) but a friend and I have just arranged to go on Tuesday, partly because the branches here have started stocking neom candles and room fragrance, and she's just bought the jalouse in navy and was having similar issues - perfect timing!